The Eagle and Child Hotel, Hurst Green, Lancashire. I'm guessing the date of the photograph to be around 1907. This unposted postcard just has a message on the back that reads 'This is to remind you of the old place, can you recognise any of the faces? they are very dim. Sarah'. The 1901 Census shows that one Sarah Hampshire, born 1876, was a general servant to the publican James Dean and his wife Ann (aged 72 and 69 respectively). By the time of the 1911 census Sarah was listed as the innkeeper. 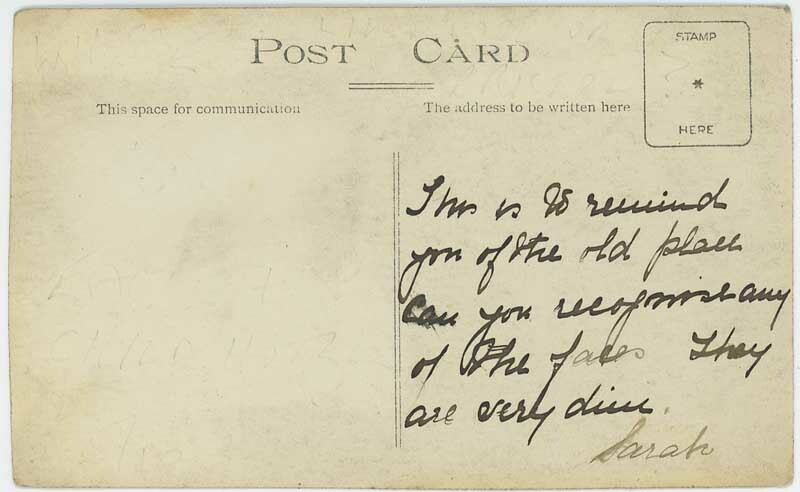 The 1911 census return is written in the same handwriting as the writing on the back of the postcard. I think it is safe to assume that Sarah Hampshire is the writer of the message on the postcard and that she is one of the women pictured on the front. I bought this postcard as a 'location unknown', but a quick search for pubs called Eagle and Child in the UK and a while checking all of them with Google Street View found that it was this one in Hurst Green, Lancashire. After I'd found the location it was easy to find the census information about Sarah Hampshire. 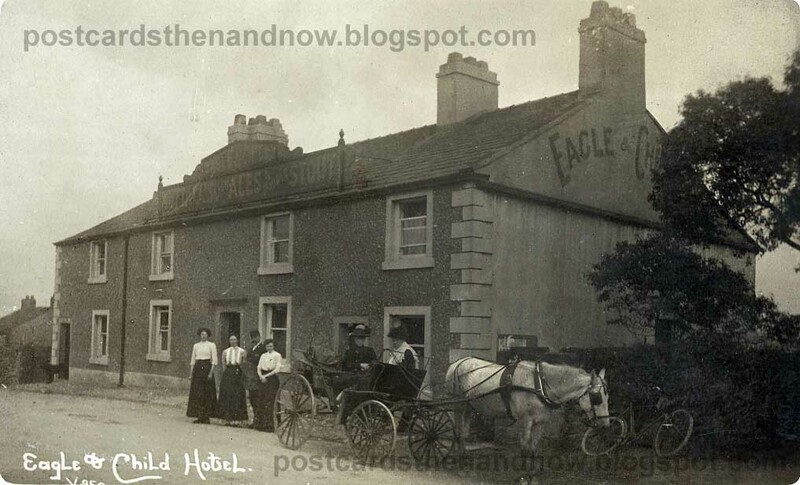 Knowing the location of a pub postcard like this can increase its value considerably. 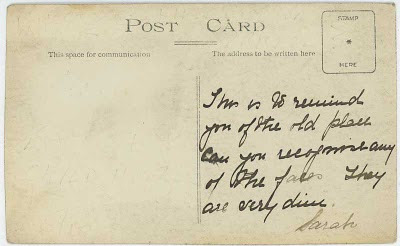 The postcard was very faded and a little creased and bashed so I've had to do a bit of editing to enhance the image. It is good to see that the Eagle and Child is still in business.